Mount Everest, Chajamlangma, or Mount Chomolungma is the world's highest mountain above sea level at 8,848 metres (29,029 ft). 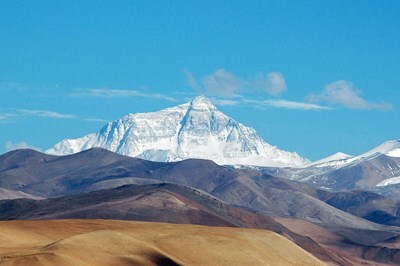 It is located in the Himalayas in Asia. In 1856, the Great Trigonometric Survey of British India established the first published height of Everest, then known as Peak XV, at 29,002 ft (8,840 m). This description uses material from the Wikipedia article on Mount Everest and is licensed under the Creative Commons Attribution-ShareAlike License (view authors).